Easter fell on April 1st, aka April Fool's Day and The Bunny couldn't pass up the one and only opportunity to be a prankster. Yes, that is a big ole' pile of cleaning supplies!!! The Bunny passed rather early and went to bed. Around 12:45am, Veronica tip-toed into our room and leaned on me to give me a big hug. She whispered, "The Easter Bunny pranked us. It's April Fool's. He left us cleaning stuff. But there's real baskets on the table. I saw them!" So I got up with her and was "surprised" and "amused" and shuffled her back to bed. Thankfully we all slept in a bit Easter Sunday morning. I do believe this was our last Easter for the bunny to visit. Veronica seemingly still believes, but she also has her doubts. 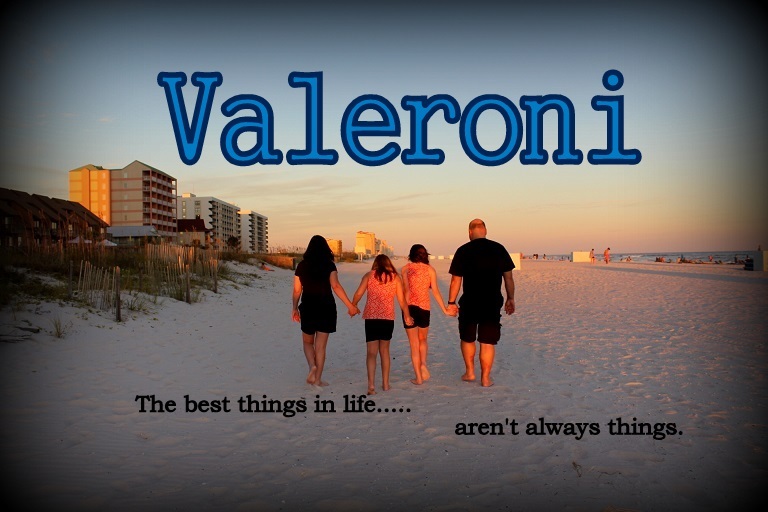 Valerie knows but has yet to let us know that she knows. At least she is playing along, for now. Easter was low-key. We barbecued and sat around most of the day. That about sums it up!